Collaboration is crucial for any organization that wants to be productive, adaptable, and creative. When people collaborate, profits increase and things get done. When they don't, the organization loses time and energy. Why, then, do many private enterprises and government agencies struggle to provide collaboration tools their employees will actually use? -	What tools does your organization need to facilitate collaboration? -	How do you ensure that people will use those tools? -	How can you protect your privileged information? -	How can you harness the power of Web 2.0 to capture the collective intelligence of your organization? Whether you are a leader in the public or private sector or a technologist, you'll discover ways to help team members solve problems they wouldn't otherwise have solved, get work done quicker than ever before, and feel connected because they're working together toward a common goal. 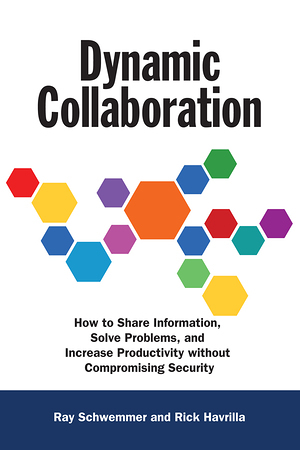 "We're witnessing a transformation of collaboration in real time, and there's no better factual content than what Schwemmer and Havrilla have compiled in this book. I recommend this as required reading for those serious about collaboration."